It was now August anymore. Without updating the blog for a while, sorry. 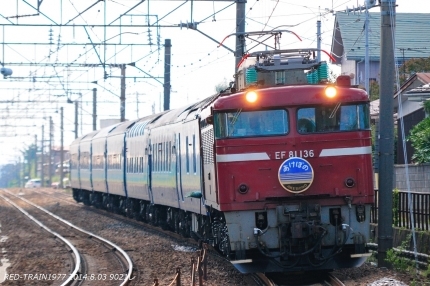 Today, have become a extra trains of the busy season from regular train, A picture taken of the express sleeper AKEBONO. It was a shot of the Golden Week holidays since May. Time of the summer festival, August is KANTO festival in Akita from today in the Tohoku region. 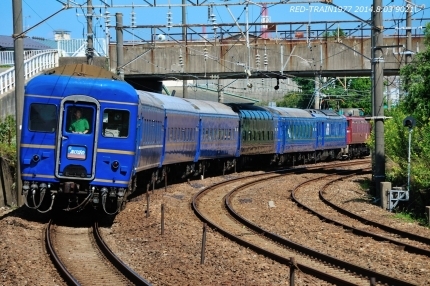 By the way, express sleeper AKEBONO will be driving up to August 15 of the Obon period.